If things remain the same there is no growth. They will stagnate and eventually start to die. Intellectually we all know that change is an important part of growth. But emotionally – we don’t want to change the way we’ve always done things even if the old way is not working. Not everybody has this fear. There are some persons who get bored if things remain the same for too long. They like to “shake things up”. So why do some people love change while others fear it? It has to do with one’s viewpoint. According to CrescomLeadership.com, the number one reason why people fear change is because they are afraid of making a mistake. But does it go deeper than that? As I sat down to write this article, I wondered if there were any accounts in the Bible about persons who were afraid of change. One story came to mind – the Tower of Babel (Genesis 11:1-9). Shortly after the flood, God blessed Noah and his sons and told them to “Be fruitful and multiply, and fill the earth (Genesis 9:1). What they should have done, was move into different parts of the world and build homes and settle in. Instead, Noah’s descendants all settled in one place. Though many of them had not witnessed the Flood, they had heard accounts of it and they were scared. Scared that it would happen again and that things would change - they decided to build a tower in which they could be safe from a flood. A fear of change has existed since the moment sin entered the earth. I don’t know about you, but I’m a creature of habit – not in every area of my life, but in enough places that some changes scare me. Maybe it’s because I don’t know how the new thing will work out. Or maybe it’s because I already know how to do things the way I’m doing them now. It’s a fear of change that kept me in jobs long after the conditions were favorable for me. I didn’t want to have to learn how to do a new thing. You wanna know the funny thing? I like learning new things. But I like learning them on my schedule, in my time. It could be that we fear change because we want things to be perfect. We know that perfection is not always possible when we are starting something new. Our fear of change is tied to our level of faith. How much do we trust God? Do we really believe Him when He tells us He will never leave nor forsake us? Do we really believe that God is with us in every situation? Because you see, if we can believe that, then we can trust that the future we’re walking into is one with God in it. Imagine a scenario in which God is absent. Once you have done that, read Psalm 139. Remind yourself that there is no place on earth, in heaven or in hell that God cannot take you. If God is there, then He has everything under control. Challenge: What have you been putting off because you fear change? 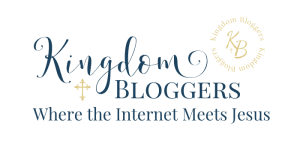 Would you join me and The Journey writers in our accountability group? We have set a challenge for ourselves to accomplish at least one of the things we have been ignoring on our to-do list. We are giving ourselves until November 9, 2018 to take the first step towards accomplishing our goals. We look forward to having you. Join our accountability party and let us cheer you on.